Recently our Sales Team started vlogging, with beautiful images from around the world as a result. René traveled to South America and Ferdi went Down Under. Two totally different areas which is clearly visable in the video's. Pretty impressive picture right? 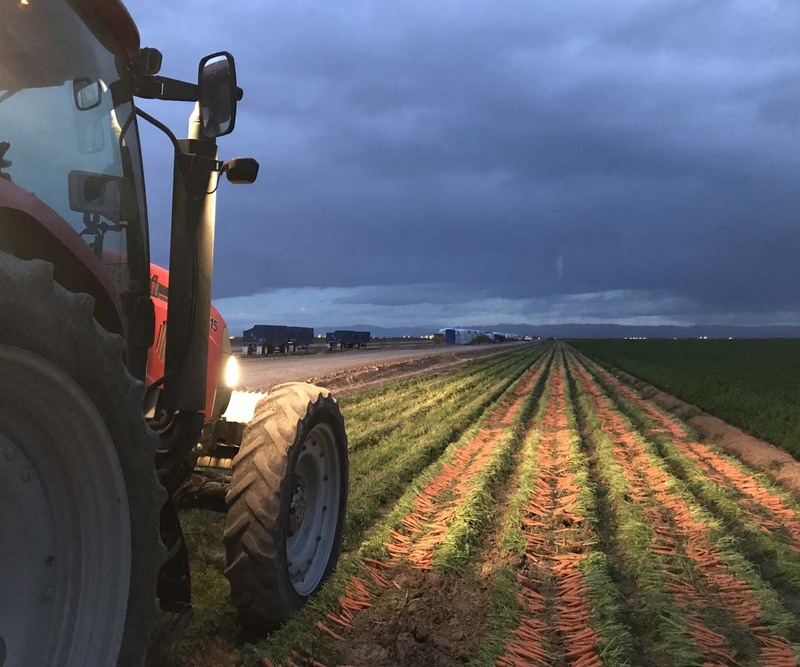 Our carrot team just returned from a trip to California where they have been working together with 75 others on harvesting our newest crop: carrots. 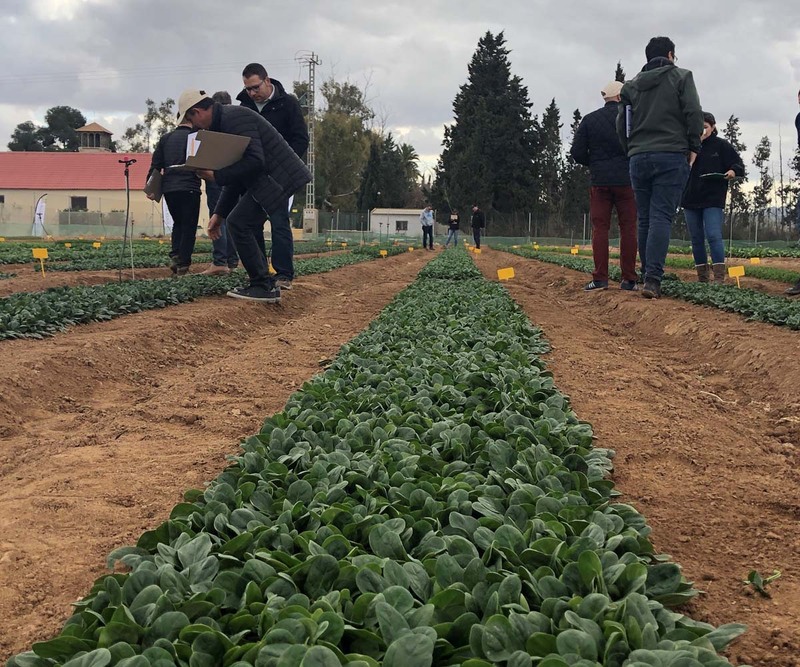 This week our dealer Tozer Seeds will be hosting vegetable trials on their trial facility in Murcia, Spain. Among other vegetables they show our spinach varieties. Of course our sales reps Marcel and Sylvain are present to update Spanish growers about our latest developments in spinach seeds. 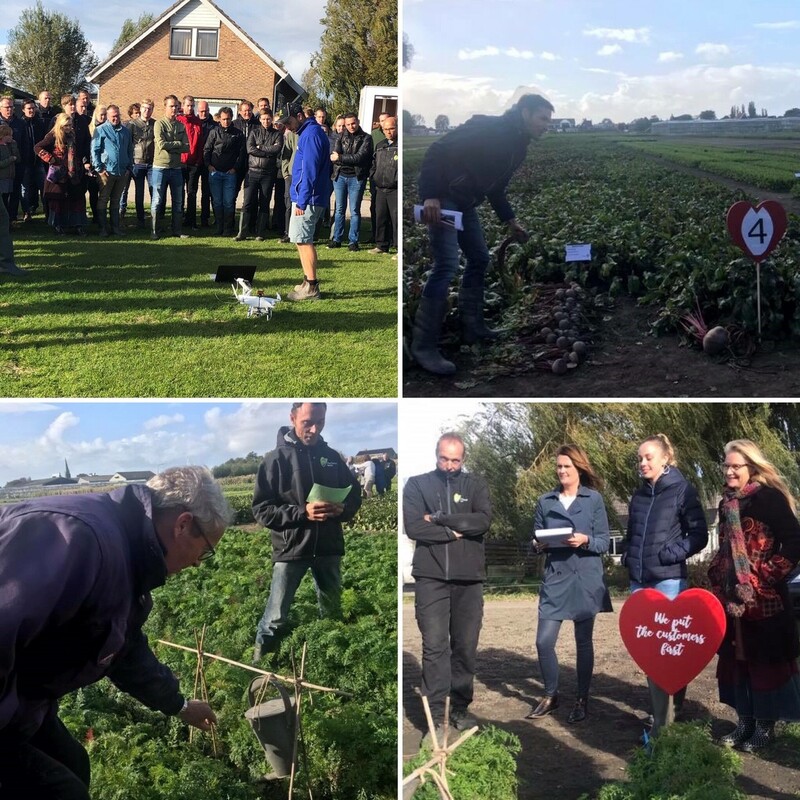 On February the 12th we invited growers to our Spinach Seminar. Marcel updated the growers about the developments in spinach around the world, Jim Correll - professor from the department of Plant Pathology, University of Arkansas, USA - gave the latest information about diseases in spinach. It was a very successful event and more than 35 growers where present. Curious to discover more about this event? Take a look at a short video from Marcel. Met alle collega’s in 3 meter sneeuw! Snow POP's waren in Oostenrijk. 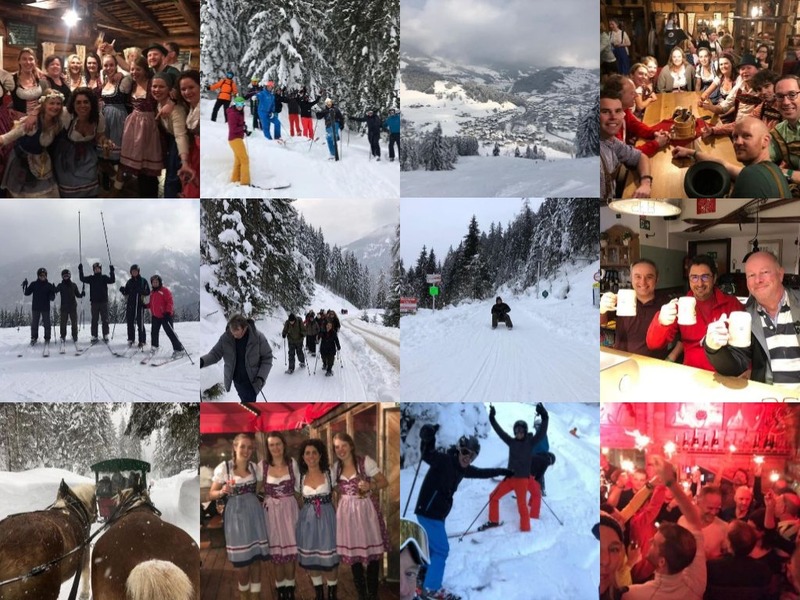 Heel veel skiën & net zo hard après skiën, nog meer ❄️❄️, rodelen, powder skiën, Salzburg city tour, arrensleetocht (met nog meer ❄️), sneeuw wandeltocht van Olympische proporties, Hüttenabend in stijl en nog veel meer! Moe en vrolijk allemaal weer heelhuids thuis en natuurlijk weer fris in de startblokken om onze zaden de wereld over te sturen. 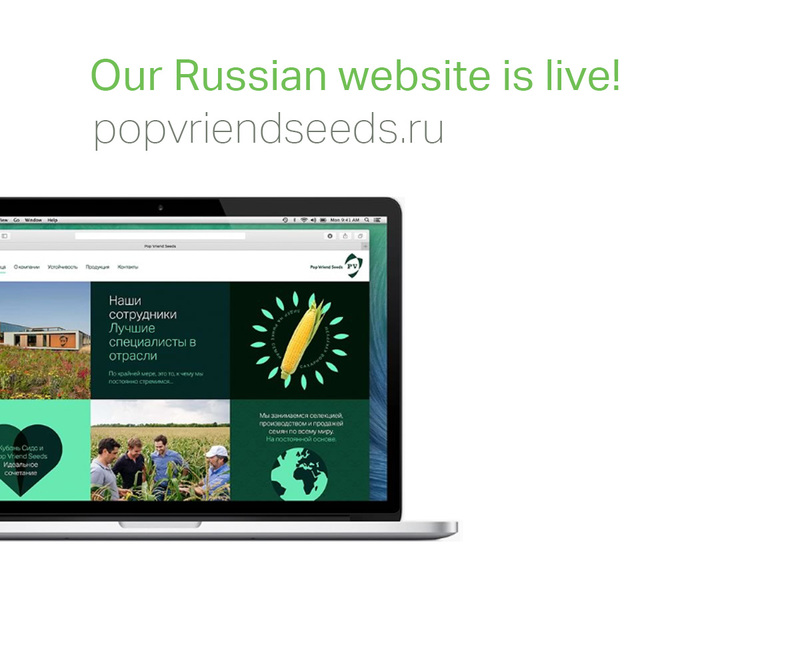 Our Russian website is live! To give our company a better visibility we have translated our website to Cyrillic. 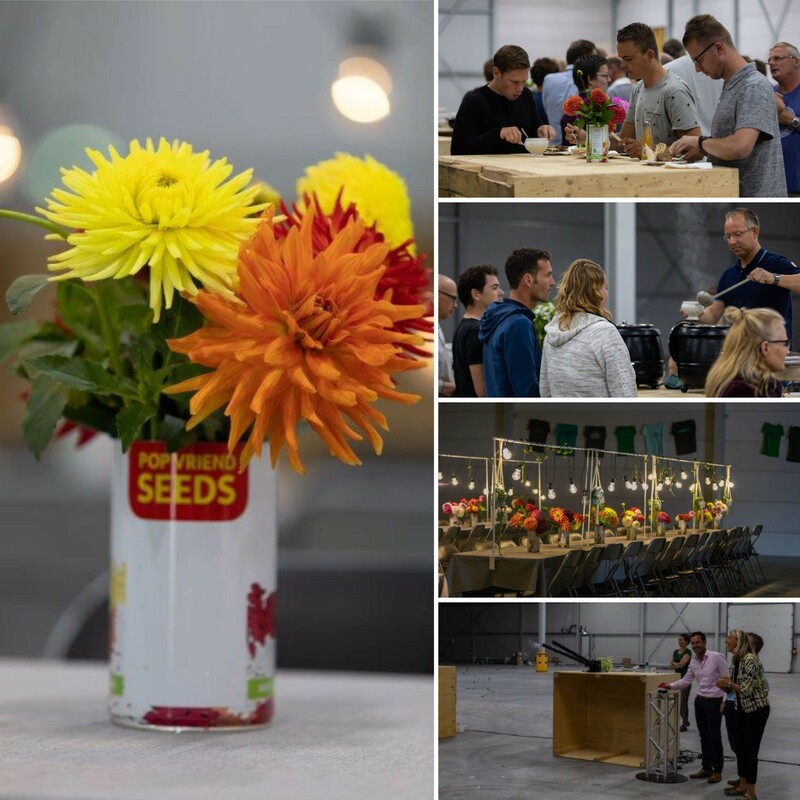 Also there is made a strong connection with our dealer in Russia, Kuban Seeds. 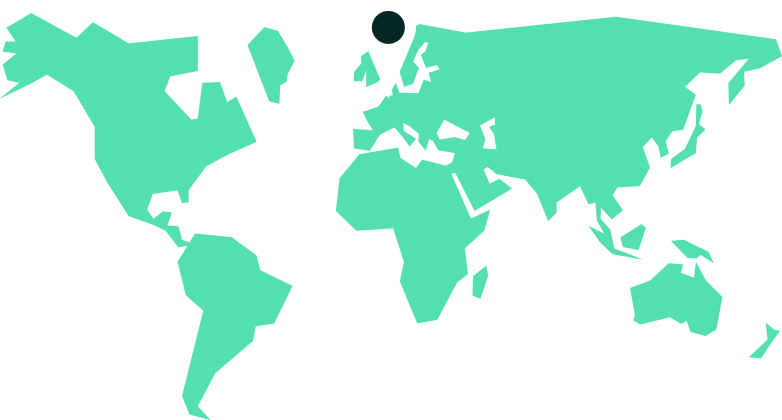 This represent our long term partnership, as well our customers do know where to find information and where to purchase our seeds. 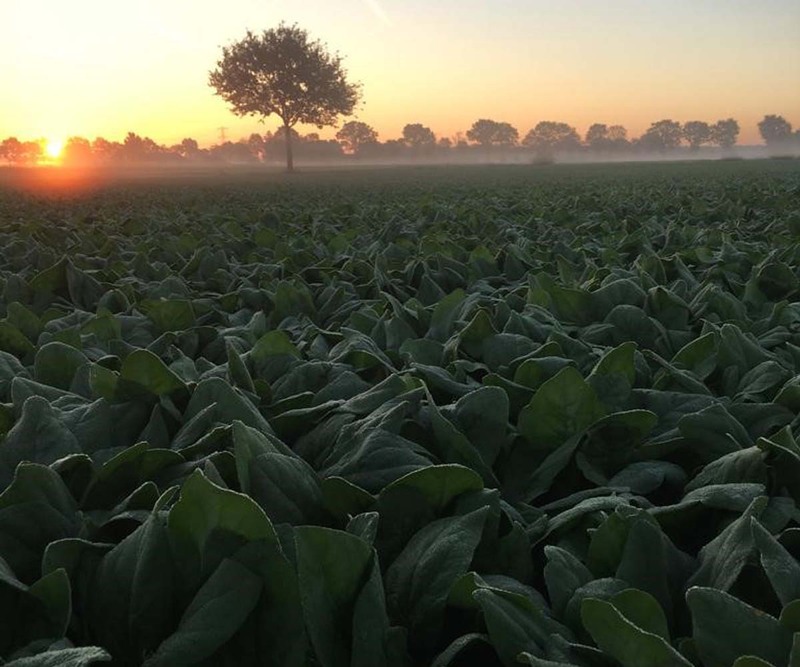 We received this beautiful picture of a spinach field in the south of the Netherlands. 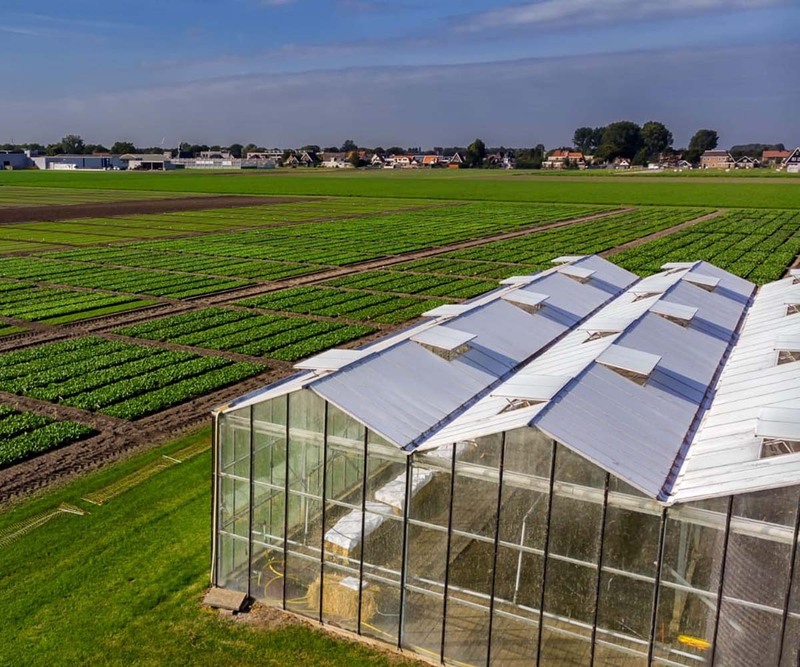 This company, called Laarakker, delivers around 140.000 tonnes of vegetables per year, such as spinach, beans, peas and carrots. This POP spinach ends up in - for example - a pack of spinach cubes from Iglo. Pop’s Pub quiz! Without a pub, but in the wind on the field. After a great week, where customers from all over the world visited our Open Days, we went into the field with our staff. 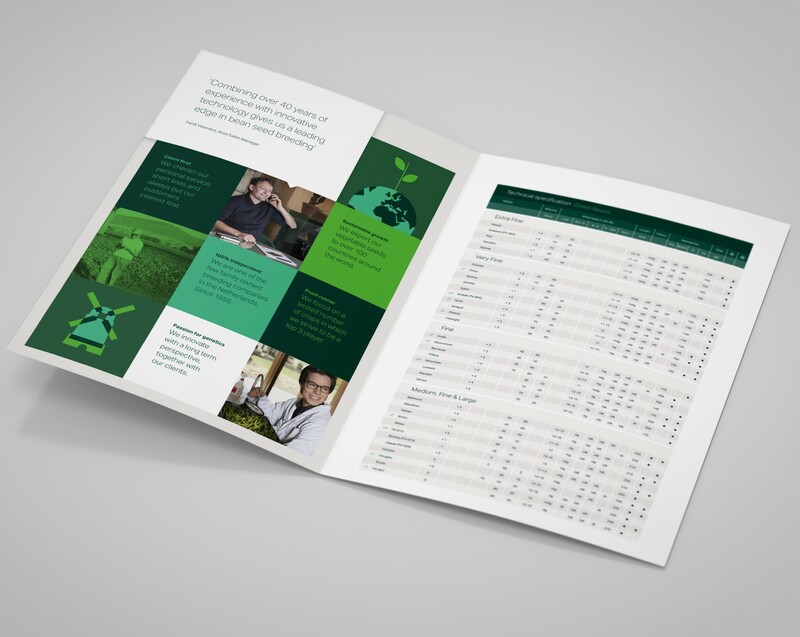 Rapidly info about our crops, with proffesional and fun explanation from René, Marnix, the Johan's and Marcel and with difficult questions from Kim and Henk. Who knows what is hanging on the string between the sticks? And how cool is it that we also work with drones? Gladys Congratulations with your first prize! Pop Vriend Seeds wereldmarktleider nieuwe superfood. Popeye The Sailorman putte er enorme kracht uit. Spinazie. Het gewas is herondekt als het nieuwe superfood. Pop Vriend in Andijk spint er garen bij. Specialisten in spinazie. Lean, mean, clean and green. Lees het hier hele artikel in het Noord Hollands Dagblad. Finally! The expansion of our seed warehouse is officially in use. Finally! The expansion of our seed warehouse is officially in use. 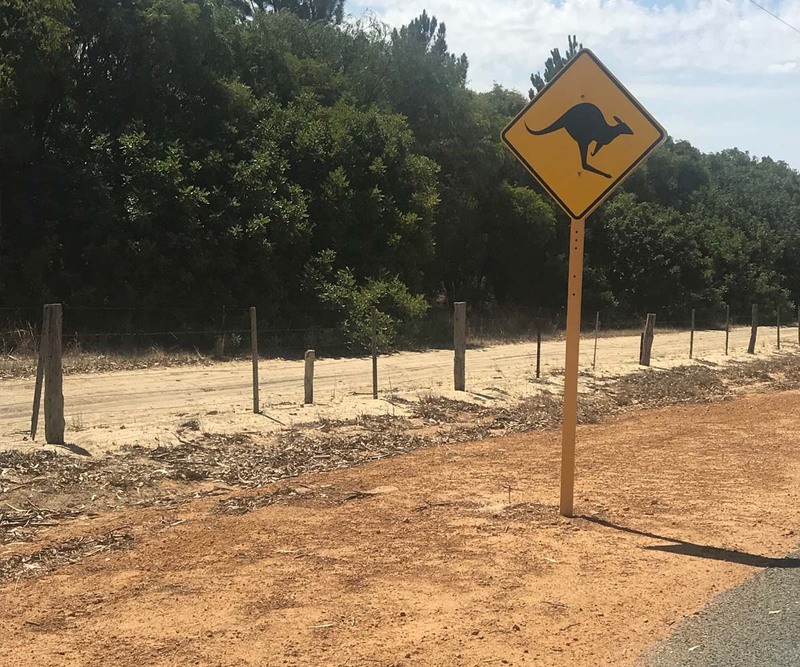 Purchase and Facility Manager Frank Hollenberg supervised the construction and performed the opening, together with owners Lara Timmerman and Arwin Vriend. Local residents and partners in the construction industry enjoyed a festive lunch in our new hall, together with all our employees. Didn’t it look great! ?